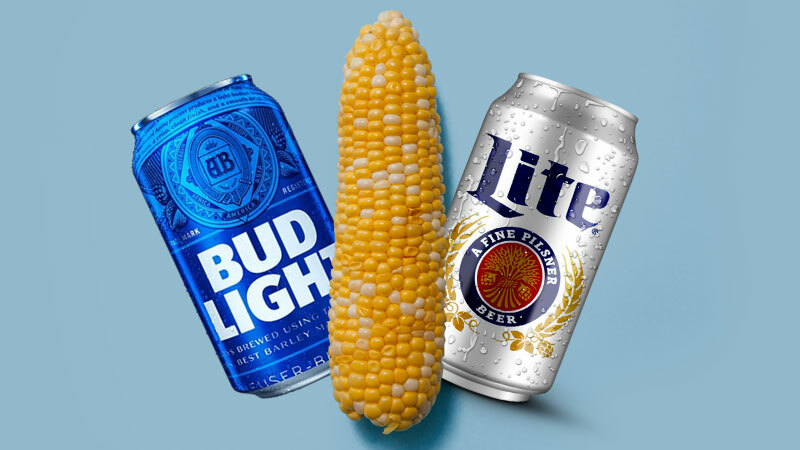 Anheuser-Busch InBev unleashed a mighty brawl among leading domestic beer brands when one of its Bud Light Super Bowl commercials accused rival light beer brands from Miller and Coors of using “corn syrup” in their brewing processes. 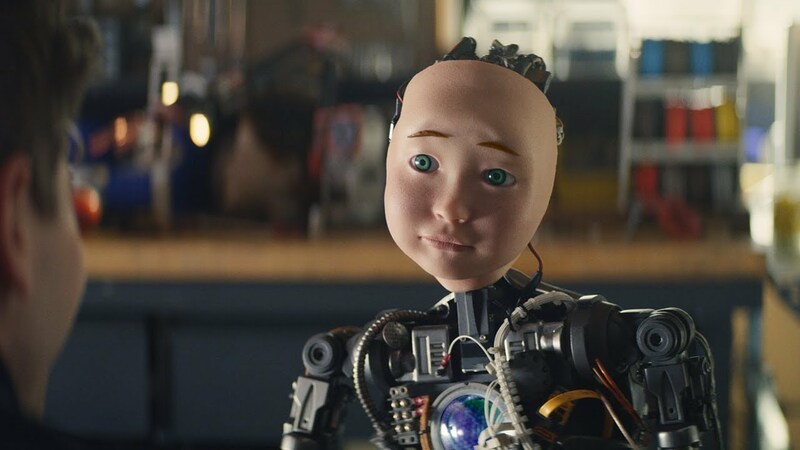 The commercial got lots of attention thanks to a humorous creative tie-in with HBO’s Game of Thrones, scheduled soon to start its final season. Which raises the question of whether, post-Super Bowl, Bud Light is winning or dying? If you are monitoring the social media conversation about Bud Light and rival Miller Lite, you would add Bud to the impressive Game of Thrones body count. 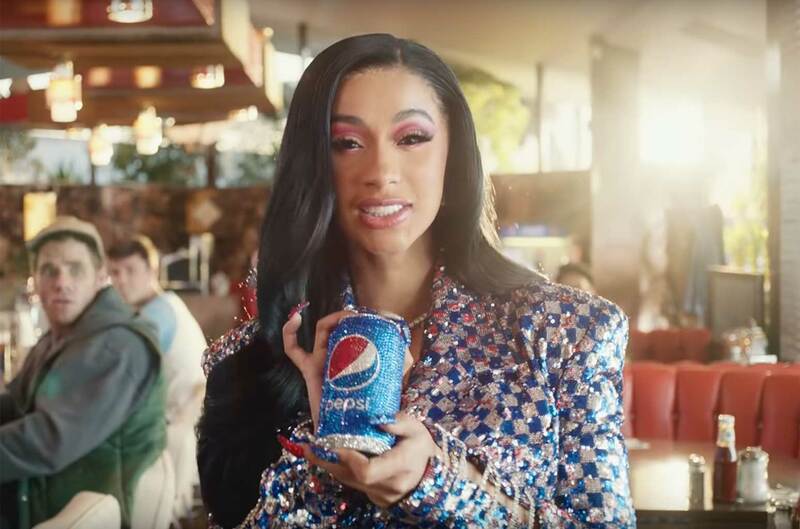 The “corn syrup” commercial helped produce for Bud Light the biggest increase in social media conversations of any 2019 Super Bowl advertiser, according to Engagement Labs’ TotalSocial® platform. It also increased the Miller Lite volume, though not by nearly the same margin. 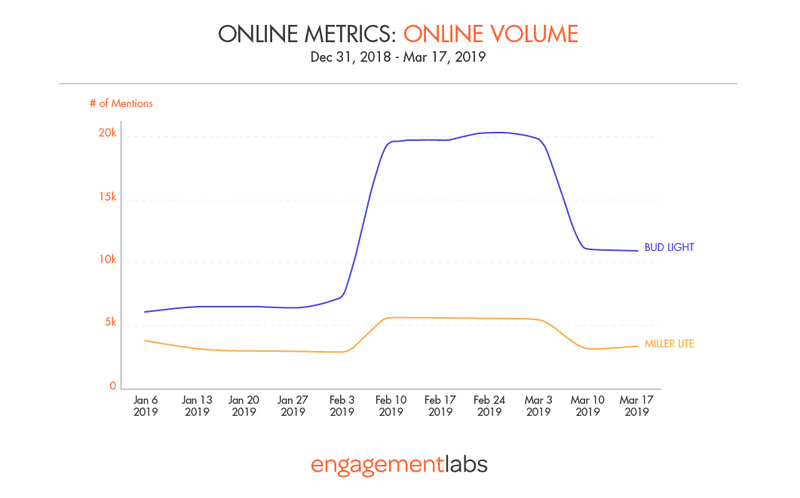 Unfortunately, for Bud Light, a lot of that online conversation has been negative, while Miller Lite’s clever damage control measures have driven increasingly positive conversation for their brand. In what Miller Lite has dubbed a #corntroversy, the brand has used the attention to criticize the campaign as deceptive and anti-farmer, while promoting its own brand as better tasting with fewer carbohydrates. 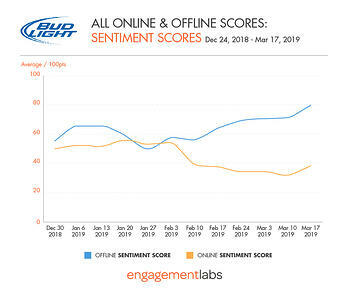 Miller Lite is winning the social media battle, based on rising positive conversations as Bud Light’s are headed downward. But don’t send the undertaker for Bud Light. If you are monitoring the real-world, face-to-face conversation, you would find that Bud Light is no more dead than the heroic Jon Snow at the end of season five. Offline conversations about Bud Light are turning much more positive, in contrast to the social media conversations. 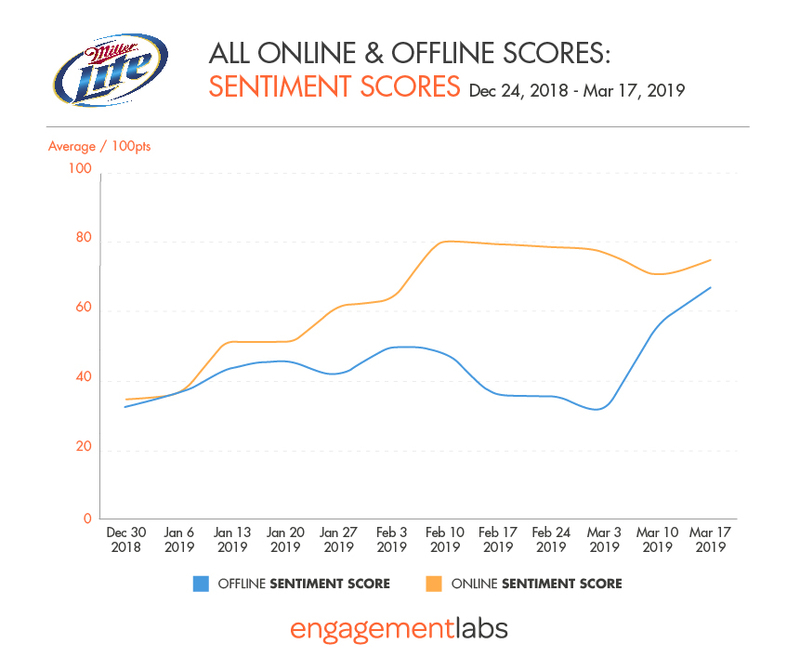 For Miller Lite, it is the opposite pattern—less positive offline, initially, although recently improving significantly. So which brand is truly winning the corn war? 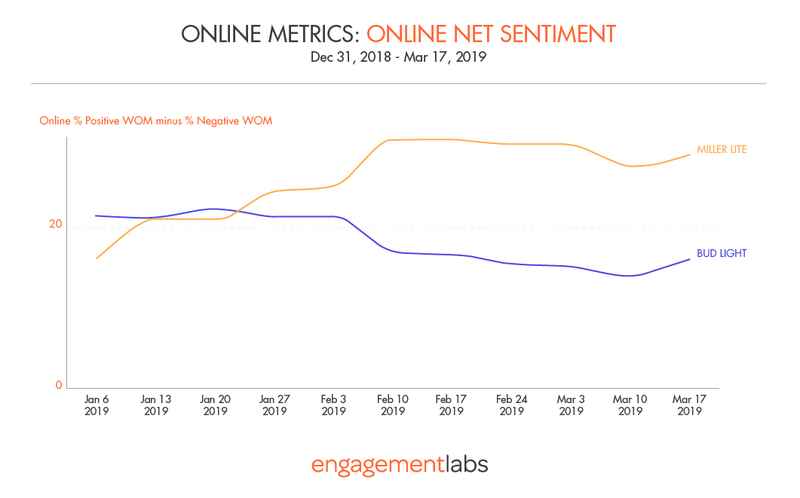 It’s too soon to tell as this remains a very fluid (no pun intended) situation as the recent lift in Miller Lite’s offline sentiment demonstrates. What is clear is that online conversation can tell one story, and offline quite another. 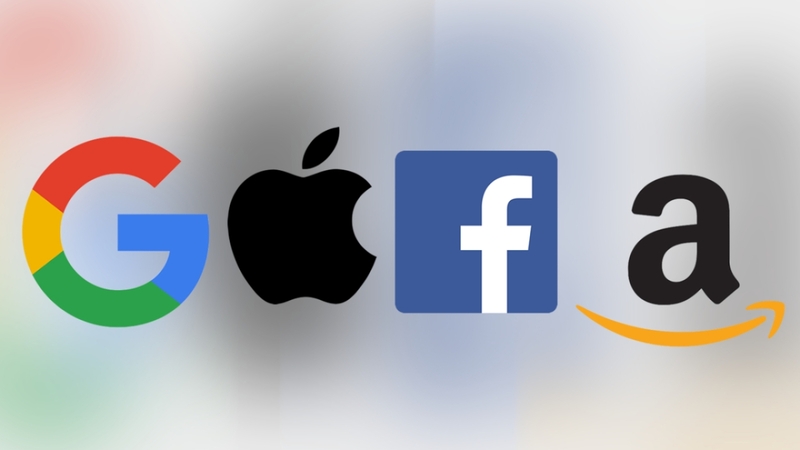 This is consistent with our analytics as published recently in the MIT Sloan Management Review in an article entitled “Deriving Value From Conversations About Your Brand,” which demonstrates that offline and online conversation each contribute about equally to business outcomes, but that the correlation between the two is generally low. 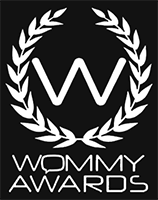 The ultimate winner here will be the one who can garner strength both online and offline. Stay tuned, and contact us if you’d like an update.